British academic, author and anti-war Christian activist Rodney Shakespeare claims that all Western foreign policy is influenced by Zionism. He has also declared the US-UK-Israel and Saudi Arabia being Axis of Evil against the Islamic Republic. Donald Trump during his upcoming visit to Saudi Arabia and Israel on May 19, 2017 is going to prove that Dr. Rodney Shakespeare was right in his claim. While in Riyadh, Trump and Saudi ‘royals’, a crypto-Jew dynasty, are going to cement a US$100 billion worth of arms purchase and another US$40 billion Saudi investment in America’s non-military sectors. In Israel, Trump’s agenda is mostly domestic involving the powerful Jewish lobbying groups and the Jews in his family. Trump gifted US$3.7 billion to Israel last month in addition to US$3.8 billion annual military aid for the next ten years Barack Obama signed last year. Israel’s top newspaper Yedioth Ahronoth reported last Thursday that while in Israel, Trump is going to announce a Palestinian state without East Jerusalem. He is also going to tell Netanyahu that moving US embassy from Tel Aviv to Jerusalem is not possible due to international opposition. However, Trump is expected to assure Netanyahu that bloodshed in the Middle East would continue until all resistance to Jewish occupation of Palestine is destroyed. This is inline with Republican congressional Victory for Israel Caucus, established in April 2017 which demands that Palestinians must be humiliated to the extent that they accept defeat over the battle for an independent Palestinian state. On May 7, 2017, in a column, former congressman Ron Paul advised Donald Trump to cancel his trips to Saudi Arabia and Israel and keep golfing. 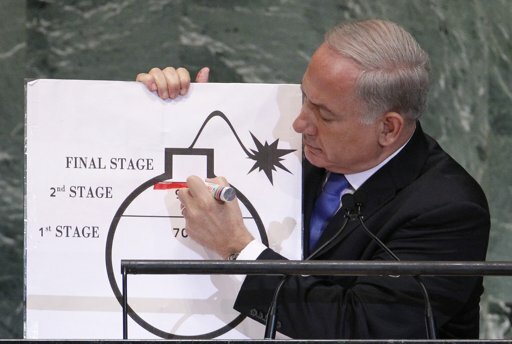 “Does he believe he will finally be able to solve the 70 year old Israel-Palestine conflict by negotiating a good deal? If so, he’s in for a surprise,” wrote Paul. And finally, Israel’s Housing and Construction Minister Yoav Galant called for the assassination of Syrian President Bashar Assad after Israeli Mossad reported that Syrian regime is using Auschwitz gas-chambers to hide its mass-killing of Syrian civilians.